In July 2007, Havering Music Makers tackled something slightly different, but with a familiar (diamond!) ring to it! As seems to be the pattern these days, ticket sales were poor - selling only just over 70%. However, the show went down a treat with our audiences with many fantastic comments being sent to us. Gentlemen Prefer Blondes is best known as the Marilyn Monroe film and for that infamous number Diamonds Are A Girls Best Friend. It is (as many musical films are) also a stage show, and we presented it at the Queen's Theatre in July 2007. See the cast photos here! 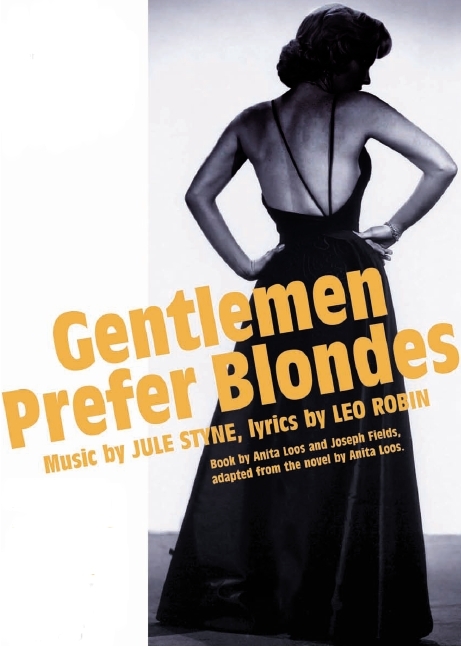 If you'd like to be in a show like Gentlemen Prefer Blondes, see "How To Join"